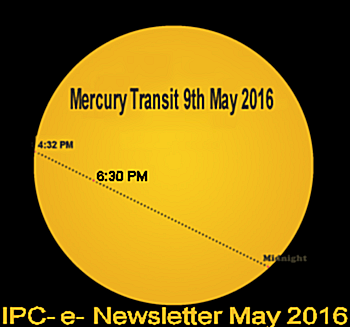 Welcome to the May 2016 edition of the IPC e-newsletter. The IPC e newsletter is distributed free to more than 5000 people around the world. DuPont or Chemours? Who will pay the costs of C8 lawsuits? Srinagar, April 22, 2016: Kansai Nerolac Paints Ltd (KNPL), one of the largest decorative paint manufacturers in India, has donated four ambulances to hospitals in Srinagar, Kashmir. These include Srinagar Hospital (critical care type), Sopore Hospital (van type), Baramulla Hospital (van type) and Anantnag Hospital (van type). To commemorate this occasion, a handover ceremony was held at Srinagar Medical College earlier this month. After valuation exercises, Berger Paints India Ltd and Nippon group of Japan have signed formal agreements to 'transfer' some of their automotive paints businesses in India to their existing joint venture. Berger Paints said on Thursday that it entered into a formal 'business transfer agreement' with the joint venture BNB Coating India Pvt Ltd. It also said that Nippon group signed a similar transfer agreement with BNB. However, the valuations of respective businesses, which are being added to BNB, have been kept undisclosed. Apr 25, 2016- Locals of Jugedi Pari in Dhading's Naubise VDC are more than gratified after they were handed over 30 earthquake-resistant houses with proper sanitation, road and solar light facilities by Asian Paints Nepal on Sunday. Terming the day as 'Day for Solidarity', the company granted the facilities to mark a day of new beginning for those who lost their houses to the quake in the VDC. SEEDS, an INGO who has been working in Nepal for post-quake relief support. Following three price increases already this year, Chinese titanium dioxide pigment producers have started Q2 by increasing prices further. Both Western and Asian producers are now incrementally pushing up prices in the hopes that these will be accepted without the loss of any customers. TOKYO -- Nippon Paint Holdings is increasing its production of automotive coatings in emerging countries, looking to overseas markets to offset slow growth in the Japanese coatings market. In Mexico, the company aims to have a new automotive coatings and water-based paints plant in service in the central state of Guanajuato in 2017. Also, an existing plant will be expanded to give the company the capacity to turn out enough coatings for 1 million vehicles. Investment in these projects will total 2 billion yen ($18.4 million). A new plant will also be placed into service in Brazil late this year. The paint industry has been a major beneficiary of the fall in crude oil prices and the Centre's housing and infrastructure push. For the paint sector, the industry has been doing well for the last 25 years, and we were having a double-digit growth. Even in 2008, the industry continued to do well. In fact, 2017 appears to be better, with government policies that are more pro-active and expectations of a better monsoon. New policies like Smart Cities and 'Make in India' will help the paint industry. The Pay Commission mandate and OROP disbursals which is getting distributed will also help spur demand. Have you passed on the benefit of low input costs to consumers by cutting prices? We were the only company which felt that we have to pass on this reduction to consumers. We believe that when there was an increase in our raw material prices, we had increased our prices. Now we are duty-bound to reduce prices when the benefit of falling input prices actually come to us. And how much was the price reduction? Amaravati: The Andhra Pradesh Mineral Development Corporation (APMDC) has decided to set up mineral separation plant in Srikakulam, at an estimated cost of Rs 600 crore, to bring value addition to the minerals in the sand. The beach sand contains Ilmenite, Sillimanite, Monazite, Zirkan among other minerals. 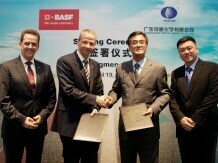 German chemicals company BASF SE (BAS.XE) Wednesday said it has signed an agreement to buy the assets of Yinfan Chemistry Co. Ltd, a Chinese company that specialize in automotive refinish coatings.